Clifton Moor Racing does NOT organise cruises in any way, nor does it condone any illegal/Anitsocial behaviour. By entering these forums you agree to be bound by the terms and conditions. 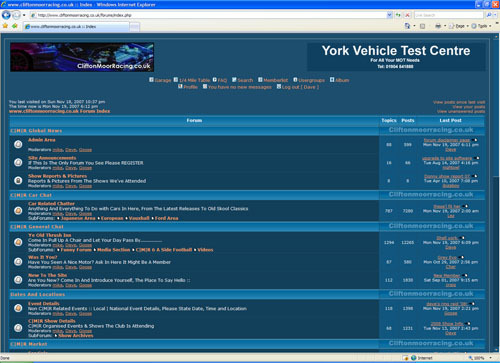 Clifton Moor Racing does not accept any responsibility for any messages/content on the forums. Any views or opinions in this forum are solely those of the author. Please email abuse@cliftonmoorracing.co.uk if you find a Post/Topic to be of an offensive nature.